For the most part, eBay's shopping cart looks and behaves like shopping carts at other online retailers. But since eBay's format is still a hybrid of listing formats—some auctions, some fixed-price listings, some mixed listings—there are some slight differences in using its shopping cart other e-commerce websites shopping carts. Adding items to your shopping cart doesn't reserve or "win" them: When you add an item to your shopping cart, you're not committed to buying them, and until you have paid, items in your cart are still available to other buyers. Since a lot of eBay's merchandise is sold in limited quantities, there's a good chance an item could sell out before you complete your purchase. If you want time to compare and contrast items you're thinking of buying, don't wait too long to make up your mind. Items can appear in your cart even when you didn't "add" them: These may include items you've won in auctions or items you've chosen to purchase through eBay's Buy It Now feature. These items will remain in your cart until you've paid for them. Paypal payments can be consolidated using the shopping cart​: As long as all of the sellers represented in your cart at any given time accept PayPal payments directly, eBay's shopping cart feature can be used to consolidate multiple purchases into a single payment action on your part, with payments being automatically totaled and distributed to sellers as necessary by eBay. If you prefer, you can still purchase items separately, such as when you decide to buy one item now and save others for later. As usual, you'll only be able to purchase auction items in your shopping cart after the auction has ended. If you prefer, you can still purchase items immediately with the Buy It Now button and bypass the eBay shopping cart altogether. You can't opt out: There is no way to opt out of the shopping cart feature as a seller. All of your listings (apart from those in categories for which the cart doesn't make sense, like real estate and motor vehicles) will automatically function with eBay's shopping cart system as described above. Buyer blocks and exclusions/requirements still work: Any buyer profile or geographical requirements that you have in place or blocks that you've added for problem buyers remain in effect with shopping carts. Combined shipping discounts are good marketing​: Any shipping discounts you offer for multiple item purchases are featured prominently in the shopping cart and calculated in a way that is far more transparent to the buyer, something that can serve to generate repeat business and loyalty. You can't find out whether your items were added to a cart​: The "number of watchers" that you see in your My eBay or Selling Manager area does not necessarily include everyone who has added your item to their shopping cart. 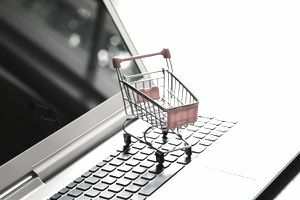 There is currently no way for sellers to get a count of potential buyers that have added items to a shopping cart.